2017 Lowe Stinger 195 Poly Camo Enjoy stealthy performance and a smart array of features in the fully loaded 195 Poly Camo. 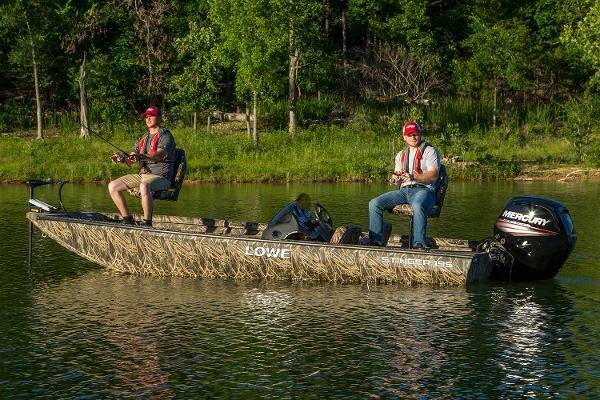 With premium fishing amenities and enough space to accommodate all your hunting or fishing gear, the Lowe Stinger 195 Poly Camo delivers incredible performance and versatility. 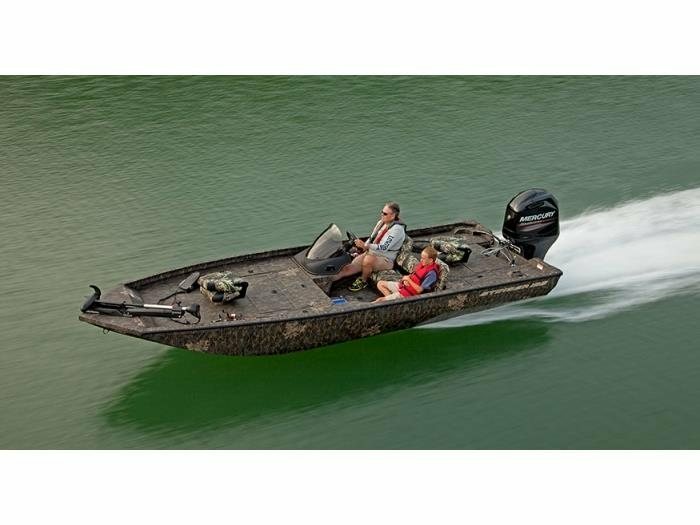 Count on a MotorGuide X3 trolling motor and Lawrence Hook - 3x fishfinder to enhance your skills, sit comfortably in 2 camo fold-down pedestal fishing seats, and keep every catch fresh in the 23-gallon bow aerated livewell. 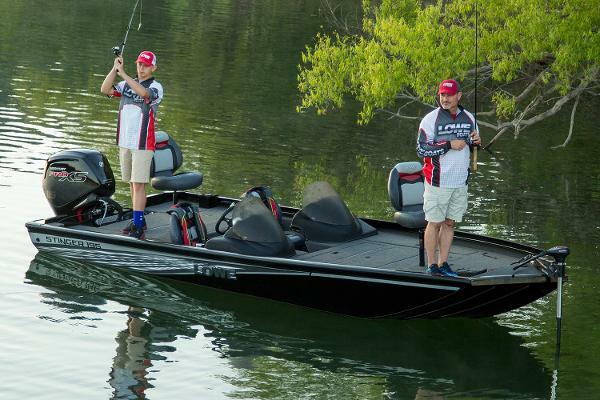 Trust in proven Lowe construction, backed by the Lowe Limited Lifetime Warranty, to keep you on top of your game. For serious sportsmen who thrive in the outdoors, the Stinger 195 Poly Camo is your ride. Please note: This boat model may or may not be in-stock. A Nationally Advertised Price, if listed, may change without notice or include accessories not fully described herein. Please contact your local, authorized dealer for exact details on model availability and package pricing. 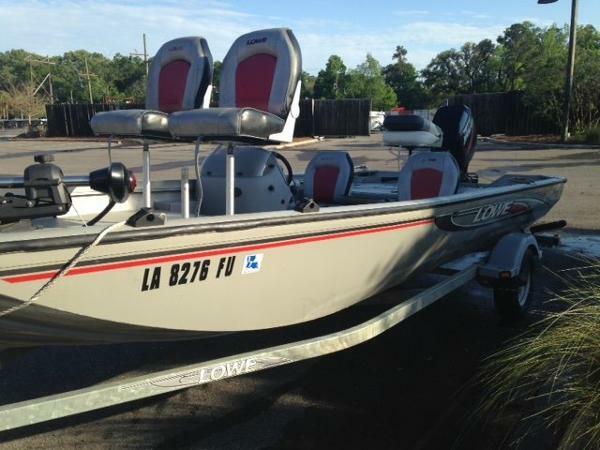 2017 Lowe Stinger 195 Spacious, comfortable and well equipped, the Lowe Stinger 195 is a multi-species fishing champ that exceeds all expectations. Designed with the movement of a fisherman in mind, this vessel was created for maximum angling space and huge capability. 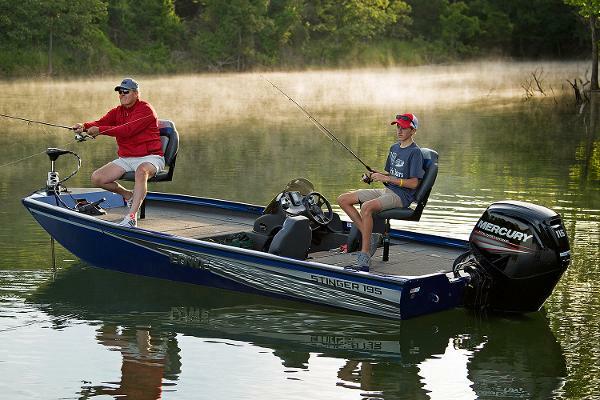 Two livewells, including a 23-gallon aerated livewell in the bow, make sure your catches stay fresh, while a Lowrance Hook 3x fishfinder provides the technology to help find them. A convenient side console helm layout with 3-across seating provides for easy navigation and comfort for you and your passengers. And thanks to the Lowe lifetime limited warranty and award-winning customer satisfaction, you can count on this mod-V fishing machine for many years to come. Please note: This boat model may or may not be in-stock. A Nationally Advertised Price, if listed, may change without notice or include accessories not fully described herein. Please contact your local, authorized dealer for exact details on model availability and package pricing.